This Nautical Gift Shop deals in Reproductions of the ENTIRE Collection of the US Navy "All Hands" Magazines. 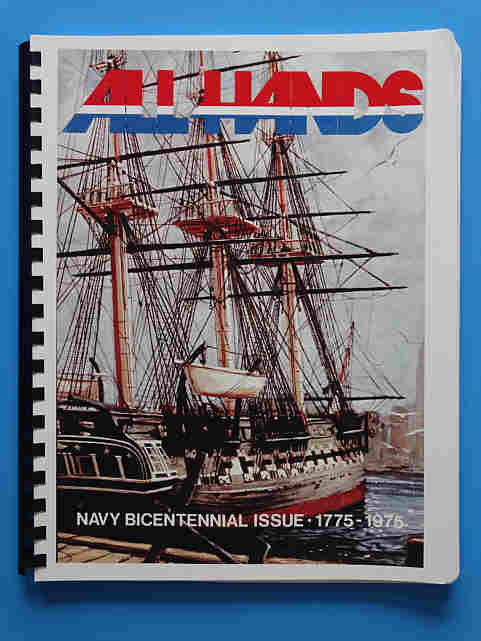 Reproductions of the US Navy "All Hands" Magazines. are available in Printed Paper form or on CD's in PDF format. Monthly Publications In Printed Paper Form $12.50/Issue. All Publications for a given Year On a CD $10.00 for all Issues in a given year. and are held together with a plastic binding comb which allows pages to flip freely and lie flat for easy reading. Printed Paper Reproductions are available individually for any specified Year and Month. Sample View of the Front and Inside of the Magazine. are available on a CD in PDF Format and contain ALL Publications for the specified year. 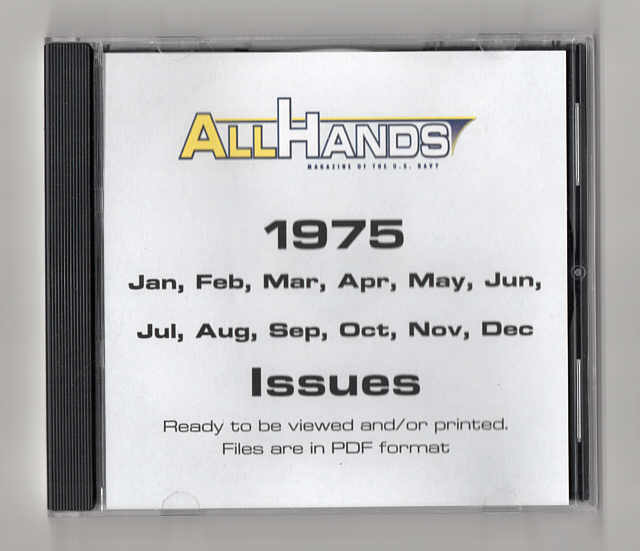 Printed Reproductions of the ENTIRE Collection of the US Navy "All Hands" Magazines.